Dr. Kazuaki Sasaki is an Assistant Professor at the Nihon University College of Economics. 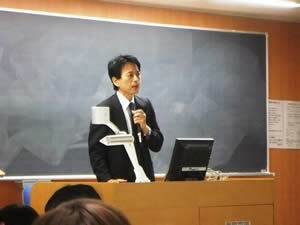 He earned his Ph.D. from Professor Ichiro Tanioka at Osaka University of Commerce in 2010. His Ph.D. paper was titled Social Legitimacy and the Growth of the Gaming Industry: Focused on Casino Enterprises. He graduated from the Strategic Leadership in Gaming Industry program at the University of Nevada, Reno (EDP). There are very few researchers of the gaming industry in Japan; Kazuaki is one of them. He is a Director of Gambling＊Gaming Academy in Japan, the only academic society about gaming in Japan, and he is also an Executive Director of the Tourism Academy in Japan.